It is with deep regret that I have to let everyone know that former LPR Racer Steve Jefferson pasted away yesterday due to cardiac arrest. 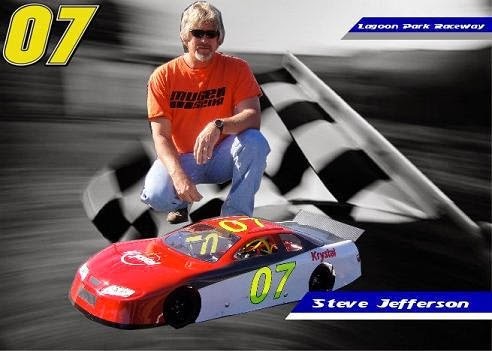 Steve was a long time RC racer in off-road and he ran 1/4 Scale for several years at LPR. Steve was the reason I got into 1/4 Scale as I had just bought a Team Coyote GASCAR 1/10 scale car. I went to the LPR annual meeting and I knew no one there at first and then I saw Steve. Ah a familiar face as I knew him Professionally as I am in the contracting business and he was an electrician that I had done business with the company he worked for many years. Steve saw me and asked me to sit beside him and we started talking about racing 1/4 Scale. Well before I knew it a put a down payment on a car that one of the members had for sale. I was hooked and had not even got on the track. That 1st year and part of the 2nd year I pitted with Steve in his trailer as we were both running Limited. One of my fondest memories is a Main race in which he and I ran nose to tail for most of the Main and on the last lap we ran side by side with me on the inside. We bumped each other several times and crossed the finish line side by side - a photo finish! Neither of us knew who won until it was announced that I had won by 7 thousands of a second (.007)! As far as I know it is the closest ever finish ever at LPR. I can remember when we took the bodies off our cars Steve made the comment that the only reason I had won was that my transponder was mounted 1" ahead of his (it was a legal placement) and we had a good laugh. Steve dropped out of 1/4 scale a couple of years ago for reasons I will not go into - except to say it was for a very honorable reason - going the extra mile for his family. Steve my friend and fellow racer RIP buddy, you will be missed - I sure you will bring home some trophies in heaven.